This site is not just a simple list of what bars you should visit. It gives details reasons on why certain pubs are a cut above the rest. Each recommended bar will also contain details on what makes them so appealing. Everyone has their own tastes and not every bar will appeal to a broad clientele. For this reason our site has a varied list and some very different bars in the hopes that there will be something for everyone. 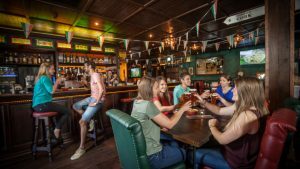 Whether you want bars that serve food, focus solely on cocktails, provide nightly musical shows or screen sporting events it is hoped that there will be something for you listed on this site. Deciding what to look for in a great bar can be difficult. Our site is here to make this task a little easier and recommend bars that will make your night out an enjoyable and memorable one, either when out solo or with a group.